This summer I'm embracing the cravings & my big ol' pregnancy belly and allowing myself to indulge in some of my favorite foods! 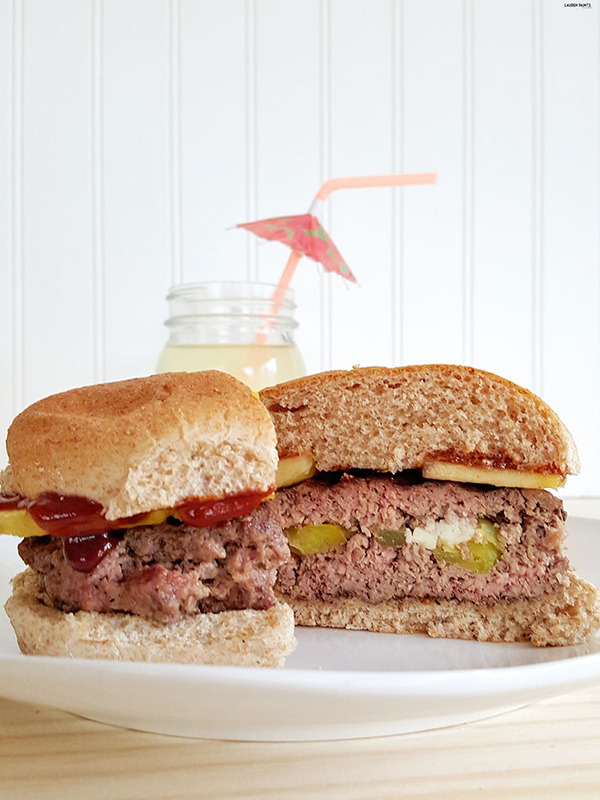 While pizza and ice cream are all-the-time favorites, lately I've been craving a big juicy burger! 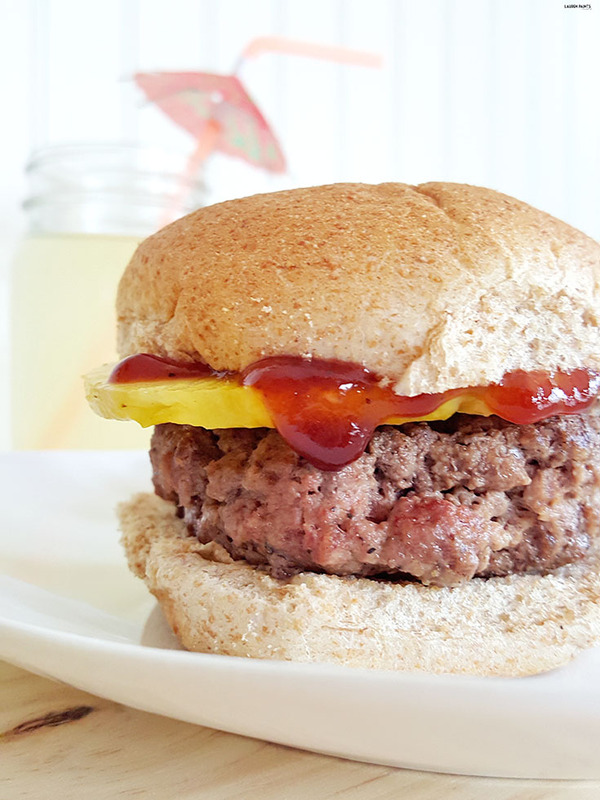 Luckily, hubby and I have mastered the art of grilling up our own patties and the Hawaiian Burger recipe I'm sharing with you today is one I'll be wanting again and again all summer long! 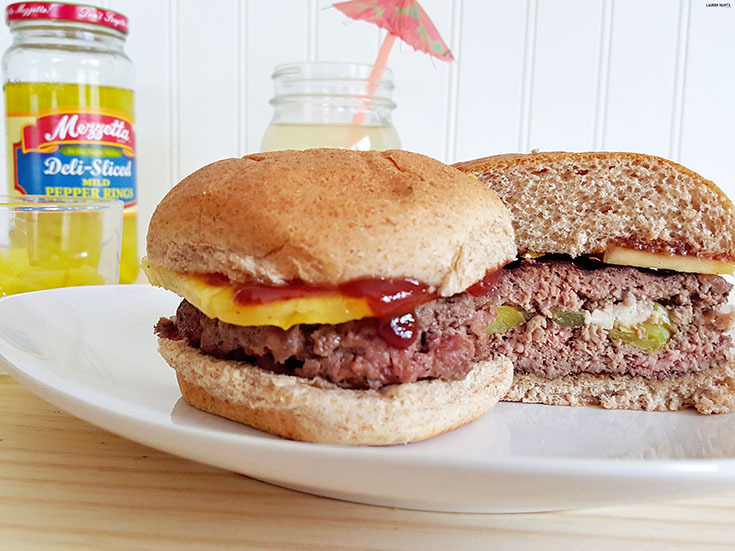 I decided to deck these burgers out with delicious, freshly sliced pineapple and a Hawaiian BBQ sauce paired with Mezzetta Deli-Sliced Mild Pepper Rings & Feta Cheese stuffed inside the burgers and the end result is delicious! 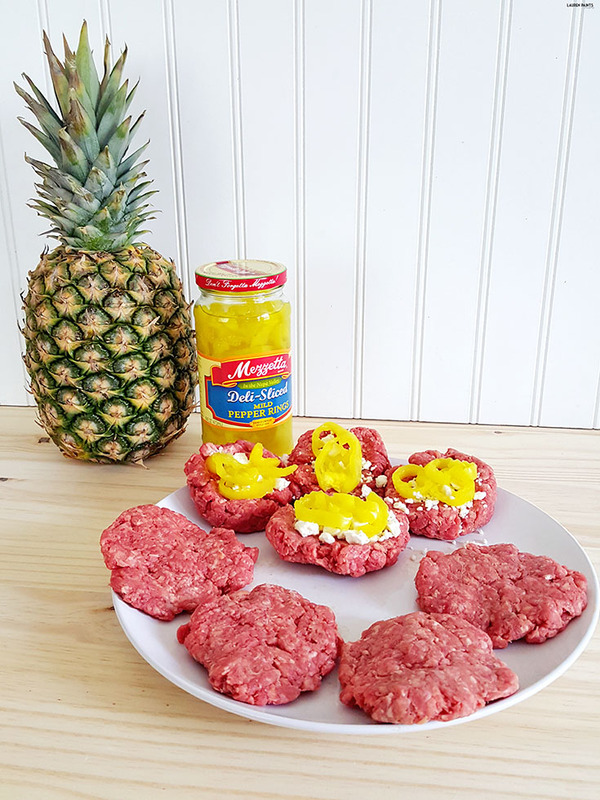 If you love a little bit of spice with a touch of delicious sweetness then you will definitely want to fix up this recipe the next time you grill out! 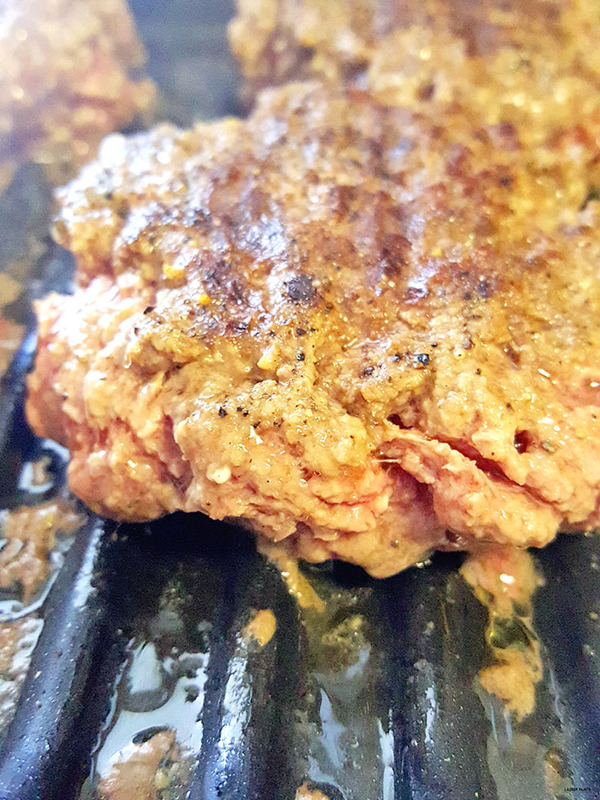 Start by making half of the beef into 4 "edged, bowl-shaped" patties and the other half into 4 flat patties. 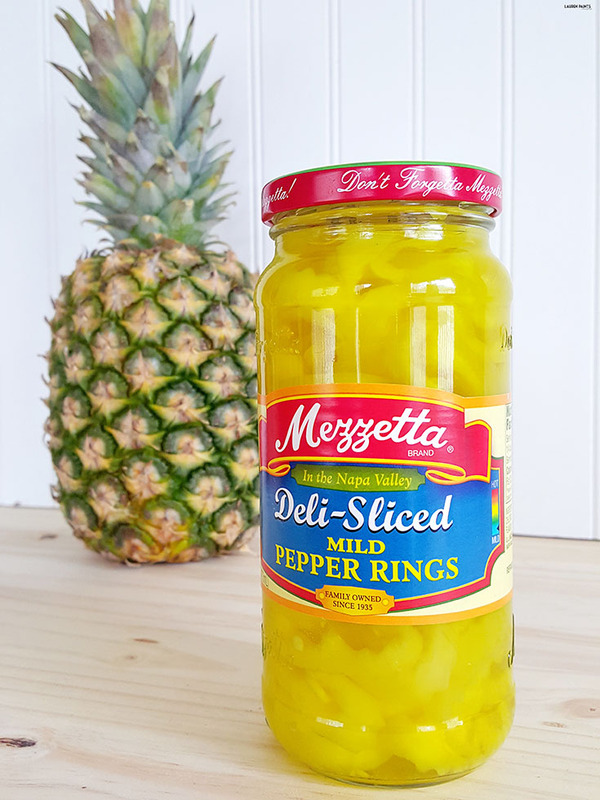 Add approximately 1 tbsp feta cheese into each "bowl" patty and 3 or more mezzetta deli-sliced pepper rings. 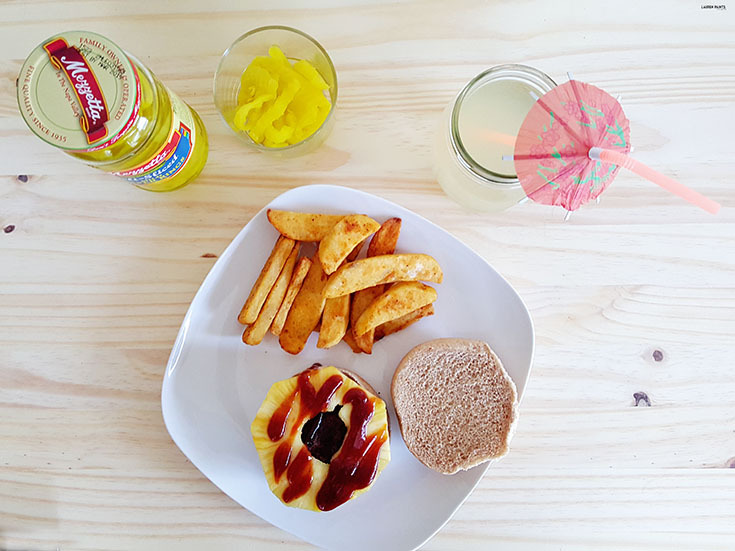 Place the flat patties on top of bowl patties and pinch to seal the sides and flatten together. Season each side with salt, pepper, and onion powder mixture and place on grill, cooking until desired temperature. 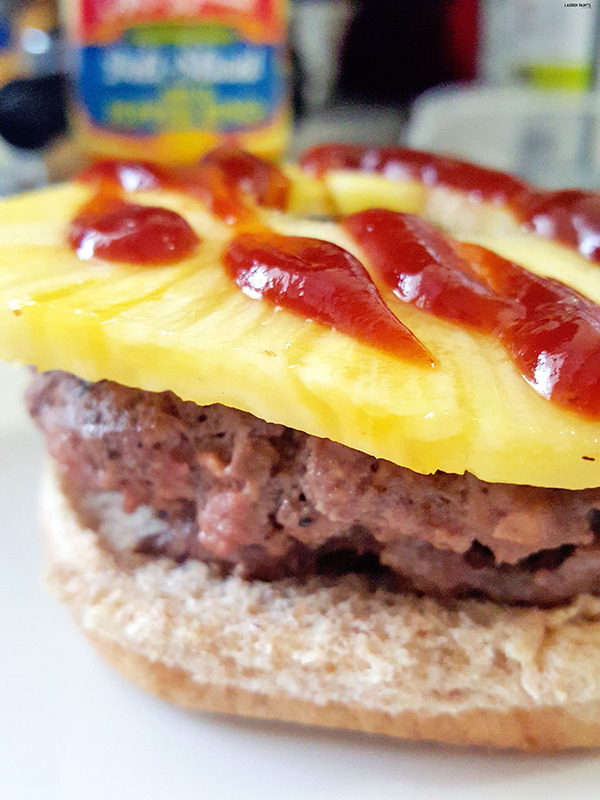 Remove burgers from the grill, place on buns and top with pineapple slice and Hawaiian BBQ sauce. Garnish with additional Mezzetta Peppers if desired. 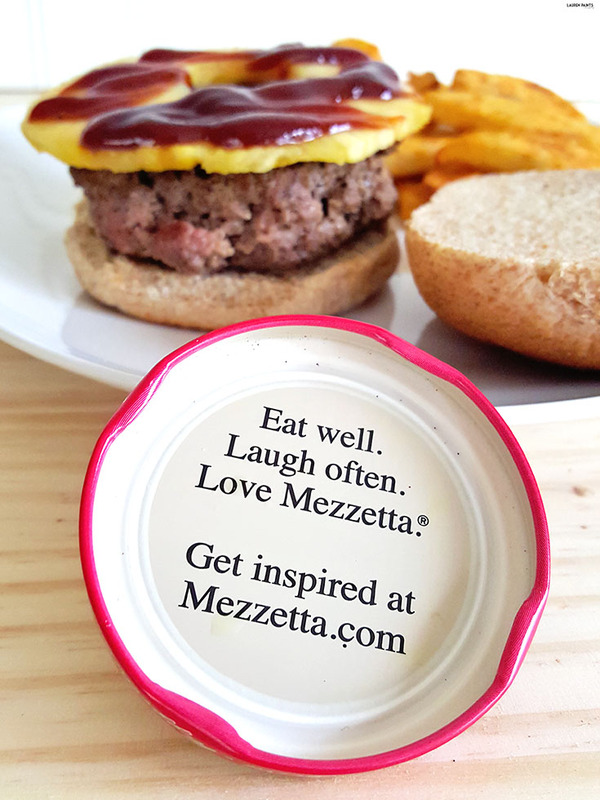 While this recipe is bold and will make for a delicious meal this summer, I've got something else exciting to share with you... Mezzetta is hosting a Bold, Bright Summer Giveaway bound to make you grin from ear to ear whenever you win! 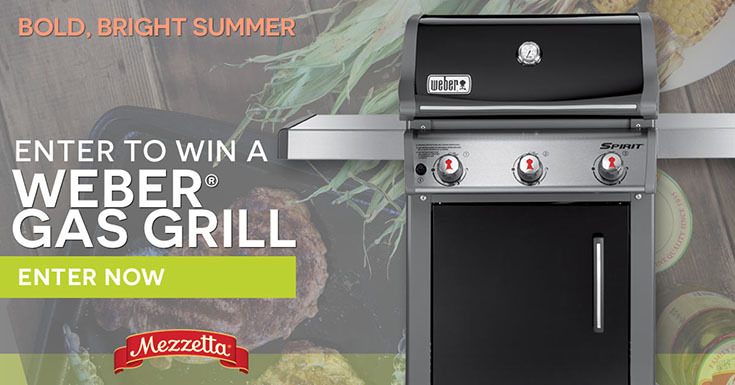 One lucky winner will be rewarded with a Weber Spirit E-310 gas grill (ARV $499), a Weber 3 piece tool set, 5 jars of delicious Mezzetta Peppers, and an ultimate summer entertaining kit - everything you'll need to have the best BBQ on the block this summer! While only one person wins the grand prize, there are still TEN more chances to win! Ten lucky "runner-ups" will win a Weber ORIGINAL KETTLE 18" charcoal grill (ARV $79), a Weber 3 piece tool set, 5 jars of Mezzetta Peppers, & an ultimate summer entertaining kit! Don't miss your chance to win one of these awesome giveaways, just CLICK HERE and enter your information to get your name in the mix by July 15th!